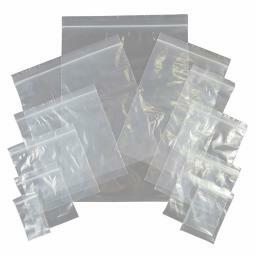 Grip seal bags provide a multitude of uses and are a standard packaging product. They have a plastic fastening which clicks shut and pulls open, making them the ideal resealable bag of choice. Choose to have write on panel ideal for stock identification. We have a wide range of sizes & thickness available.